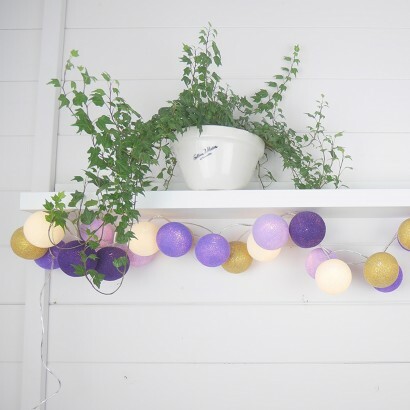 With gorgeous rich tones of lilac, lavender, ultra violet, gold and ivory, these Cable and Cotton Purple Nights fairy lights add pure luxury to your interiors. Hand made with high quality cotton, these decorate light shades come loose so that you can place them on their light string in your own desired patterns for maximum impact. 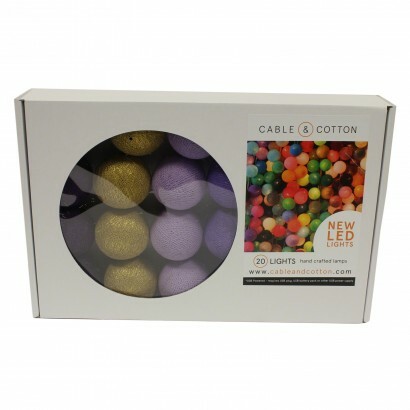 Lit by pure white LEDs, these stunning fairy lights are USB powered and so can be plugged into the mains with a USB plug (not included) for contemporary opulence in your home.